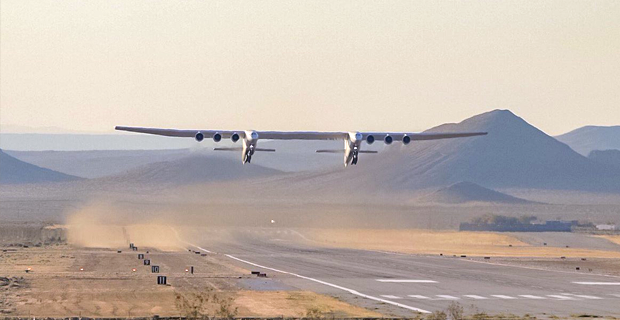 Built by Strato-launch, the company set up by the late Microsoft co‑founder Paul Allen in 2011, the aircraft is designed to act as a flying launch pad for satellites. The idea is to fly the plane to 10km before releasing satellites into orbit. Its 385 feet wingspan is the length of an American football field.